About Candace Bond McKeever - Strategic Solutions Group, Inc.
Candace Bond McKeever is President & CEO of Strategic Solutions Group, Inc. (SSG), a small, DBE certified minority woman owned organization specializing in a full array of Community Outreach and Education, Strategic Communications, Marketing, Advertising and Public Affairs. SSG Inc. provides these services for a diverse and demanding client base including corporations and non-profits, federal, state and local municipalities. As a business development specialist, Candace has been retained by leading corporations and nonprofit organizations to assist in their overall strategic development. With over 25 years of experience in strategic management consulting, marketing, communications, and sustainability management, Candace brings blue chip brands the demonstrated ability to deliver targeted, sustainable growth initiatives that connect with clients and customers. Some of her clients include Starbucks, Anheuser-Busch, Allstate. 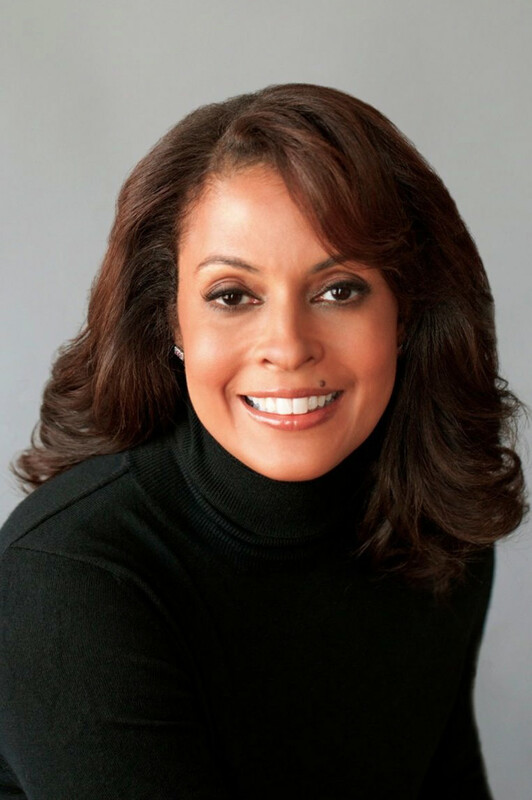 She has worked with HUD, Essence magazine, Diageo, the NAACP, Age of Learning, nationally syndicated radio host Tom Joyner, and the Academy of Television Arts & Sciences, among many others. Prior to founding SSG, the Harvard University graduate served as Vice President and General Manager of Essence Entertainment. In this position she was responsible for day-to-day management of the division and oversaw the development of all business initiatives and targeted marketing in the areas of film, television, music, radio and live entertainment. As Executive Producer, she oversaw all production and marketing restructuring efforts for the Essence Music Festival, the nation’s largest family music festival in New Orleans, LA resulting in record breaking attendance, revenue and profitability. She also produced the Essence Music Festival TV Special and the Essence Awards, delivering its first ever profit. She also held senior positions with de Passe Entertainment and Motown Record Co. where she marketed numerous broadcast properties including The Temptations miniseries on NBC, Motown 40 special on ABC and executive produced over 100 music titles while successfully building strategic marketing alliances with a number of blue chip consumer companies including American Express, Budweiser, Chevrolet, Cingular Wireless, Clorox, Daimler Chrysler, Coca Cola, Johnson & Johnson, L’Oreal, McDonalds, Pepsi, Southwest Airlines, State Farm, and many more. Candace received her B.A. with honors from Harvard University and her M.B.A. from Harvard Business School. Additionally, she recently received her executive management degree in Sustainability from the Presidio Graduate School in San Francisco, California, and an executive degree in real estate development from USC’s Ross Minority Real Estate Program. Appointed by President Barack Obama to his Advisory Committee on the Arts for the Kennedy Center, Bond-McKeever currently serves as a trustee of Charles Drew University, the Alliance for Veterans, the new Ford Theatre and Children’s Institute Inc. She was honored in 2014 as Woman of the Year for Los Angeles County for her work in the Second District and also served as a Trustee of the Martin Luther King Jr. Community Hospital Foundation. In 2015 she was appointed as Vice Chair and Secretary of the MLK Community Redevelopment Corporation in Watts Willowbrook, and also serves as a member of Southern California Edison’s Community Advisory Panel.